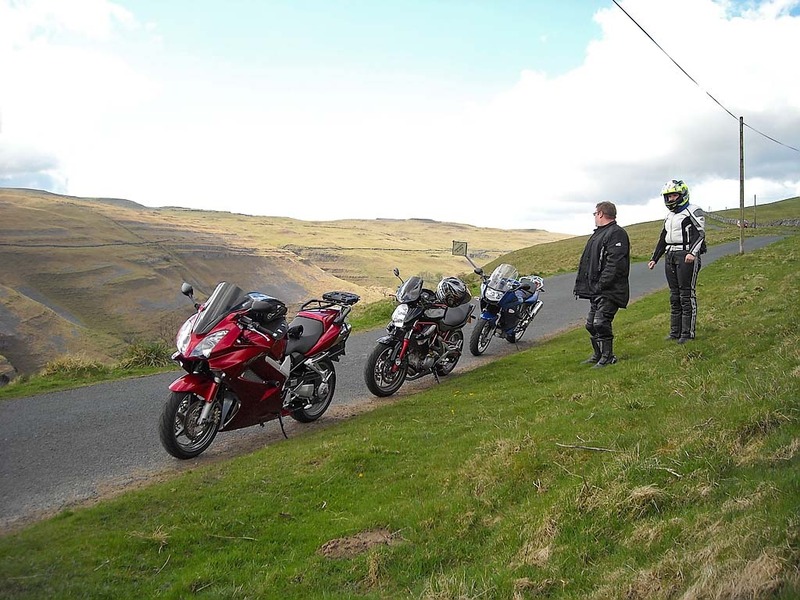 We went out on Saturday for a run around the Dales and test out all the equipment we had recently fitted on the bikes. Due to the weather being forecast to be hot we decided to avoid the main roads and instead have a ride around on very minor roads, what we like to call goat tracks. We left home and headed for Settle on our usual route via Clitheroe, Sawley and Wigglesworth. We stopped in Settle briefly to use the toilets then head North on the B6479 towards Langcliffe. We turned right here onto minor roads and headed for Malharm Tarn. At Malham Tarn we bared left and headed towards Arncliffe. We passed by the gate warning signs as usual, but for once we had to actually stop and open and close a gate. We then passed through Darnbrook House and alongside the Great Clowder where we stopped to take a few photos. We then passed through Arncliffe and headed towards Kettlewell after joining the B6160. 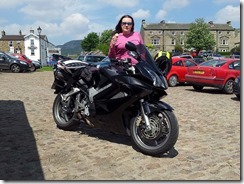 We stopped in Kettlewell for lunch at the Cottage Tea Room. We left Kettlewell and headed towards Braidley we negotiated Park Rash and passed alongside Hunters Stone Bank. We then passed through Horsehouse and Gammersgill before arriving in Carlton. We then continued through Melmerby and Agglethorpe before joining the A684 at Wensley. We continued down the A684 into Leyburn where we took a left and headed over Preston Moor towards Reeth. We then went over Ellerton Moor before dropping down into Grinton. At Grinton we joined the B6270 and headed into Reeth. 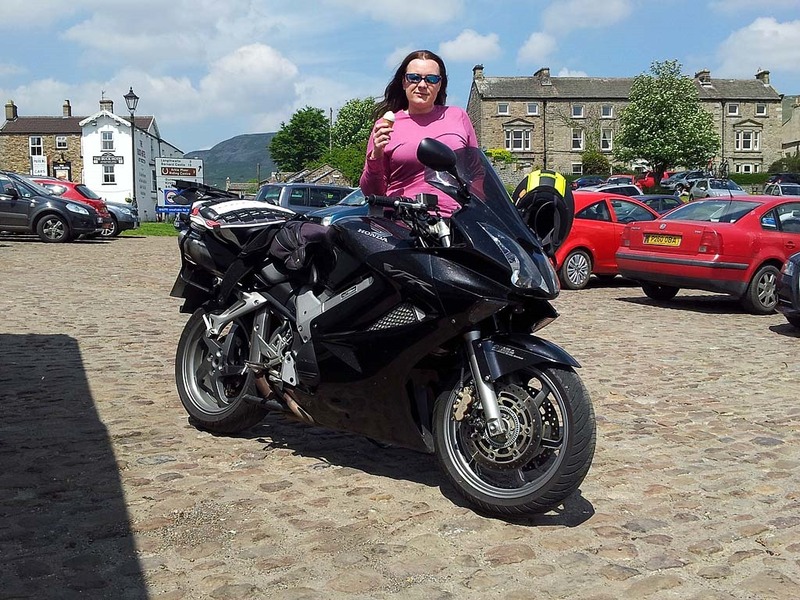 We stopped in Reeth for an ice cream as usual. We left Reeth and continued down the B6270 heading for Muker. We passed through Healaugh, Feetham and Gunnerside on the way to Muker. In Gunnerside someone had knocked a cyclist off her bike and she was lying in the road with a cut to her head. Fortunately a motorcycle paramedic was already on scene, so we carried on knowing she was in safe hands. Just after Muker we turned left and headed over Buttertubs Pass to Hawes. 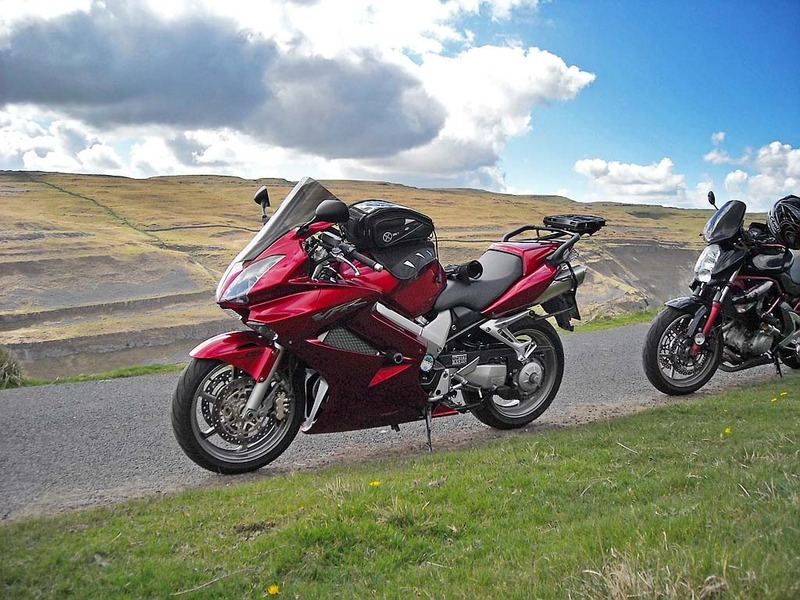 We passed through Hawes and took the B6255 towards Ribblehead Viaduct as usual. We turned left at the Viaduct and headed for Horton-in-Ribblesdale. Just after we crossed the railway tracks I accelerated on the straight. Just ahead I noticed a car braking in the dip, as I neared and crested the dip I realised he had hit a dog that was still in the road. I had to really get on the brakes and bring the bike to a stop. 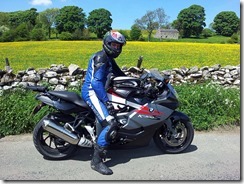 The BMW performed brilliantly and stopped very quickly even though the bikes weight had lifted as I went over the crest. After I stopped the dog ran across in front of me and he was obviously limping quite badly. The car had stopped to help, as we were on the bikes there wasn’t much we could do so we continued on into Horton-in-Ribblesdale and stopped at our usual tearoom by the railway bridge. After a refreshing cold drink we headed back to Settle and then continued on home via Sawley, Saben and the A56/M66. 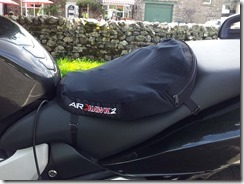 The Satnav and Autocom that I fitted last week worked as they had previously on the VFR, so we are set for the holiday. The Michelin Pilot Road 3’s have really transformed my feeling on the bike. They turn in and hold their line so much better than the Metzler’s ever did. They are also less susceptible to bumps than the Metzler’s were and give a much better ride. I will certainly not be putting the Metzler’s back on again. Helen had fitted her Airhawk seat cover before we went out and was pleased with it. 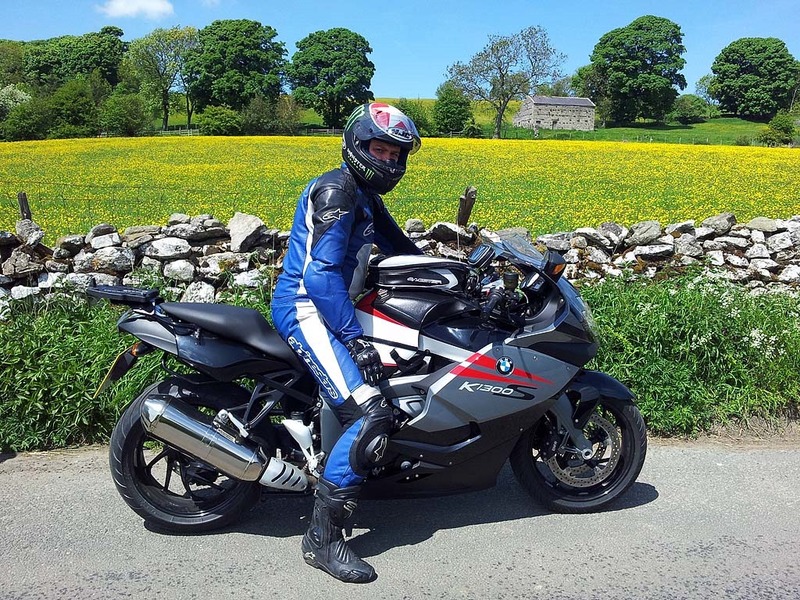 She said that the only minor issue was that on steep downhills and very twisty roads you do shift about a bit on the seat.